Are Younger Men Better Partners? It has been reported that a quarter of all marriages in Britain have an older woman and younger man. 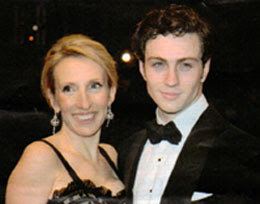 Director Sam Taylor-Wood (43) and her younger man, actor Aaron Johnson (19).